Yep, it's official, I am an addict. I need help! I wondered what all the fuss was about so when the lovely Heather at The Patchwork Heart sent me an invite to join Pinterest, I headed straight across to see for myself. Well, say no more. I cannot get enough of it. Why I may hear some of you ask? I don't know, I can't answer that, I just love it. The good thing is that I cannot access the site from work, as I would get no work done, however I am starting to get withdrawal symptoms after not pinning for all of 8 hours. So now not only is most of my spare time occupied by blogging, I now have another addiction to fit in as well. Never mind, I could be addicted to much worse things then this. I shall just keep telling myself that. Haha! I know addictive isn't it? 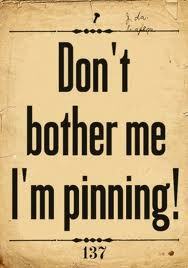 Its like I can't pin fast enough! Its not like the photos are gonna disappear! But its like once they are pinned they are "safe" haha! I'm nuts! I LOVE IT! I'm using it for ideas for my one day home/ garden / wedding / children...HA! P.s - Sorry if I repin everything you pinned..it all looks so good! 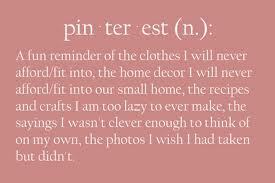 Hahaha - I love the pinterest definition - I am pinning that! I so feel you pain, and your glee and excitement. My last two posts have been about pinny as I now call it being almost related and certainlt attached. 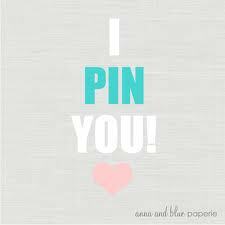 I am now following you on the pin! My link is on my blog!